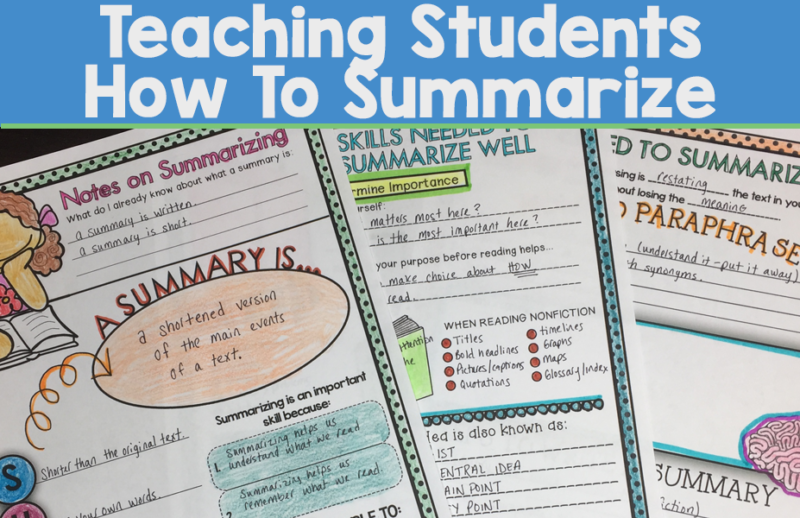 Teaching students to summarize seems like something simple, right? I mean in order to write a summary, they read and then write down what they have read. Then we get back summaries and we notice that students either wrote down everything, copied word-for-word, wrote down too much or too little. You see, summarizing required higher order thinking skills. Readers must read, understand, analyze and then synthesize the information to be able to write it down. Summarizing helps students comprenend content and also helps teachers monitor student learning. But for proper summaries, we need to scaffold summarizing so that students are successful in writing them. Students need to understand that when they are summarizing they are summing up, concluding, judging, rereading, determining. When we know that we are going to have to summarize anything, we need to determine the purpose for the reading. When we read fiction, we need to pay close attention to story elements such as character, setting, events, problems and solutions. When we read non-fiction, we need to pay attention to text features and understand the who, what, when, where, why, and how if applicable to the written piece. When students determine importance they are also getting rid of extraneous material. They are analyzing the reading and picking out the most important information. To teach students how to determine importance, you can create a collection of items you would use to do something, such as going out for a run and then have students choose which items are most important for running. They can explain why they chose the items they did. This helps them get into the correct mindset of choosing important ideas, facts, concepts, etc. The main idea links other ideas together. It is the table top to the legs. It is the overarching idea. It is the big picture. I like to teach students how to find the main idea by first playing a game. Pick a category in your head, such as fruit. Then tell the students, different types of fruit and see if they can pick out the category. This gets students in the correct mindset for looking for overarching idea that connects everything in the reading. Paraphrasing is restating in your own words. We paraphrase by using synonyms, changing the sentence structure and using our own voice. A game I like to play is “Say it Again” – to play this game you will say a sentence. You can come up with this sentence or you can choose a random sentence from a book. Students will generate as many different ways as they can to rephrase the sentence. It is fun to see how many different and creative ways we can say the same thing! Before jumping into writing summaries students should learn how to break apart and analyze texts. Graphic organizers are a great way to accomplish this task. Summarizing is one of those skills that is critical to master. Students will use it throughout their learning lifetime. It does take practice. 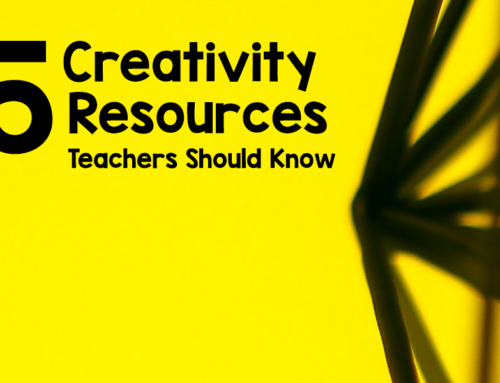 After having an introductory unit on summarizing – make sure to reinforce this skill throughout the year in more ways than just summarizing texts. They can summarize their weekends, what they learned in a lesson, etc. Make sure to show them that summarizing has real life applications.